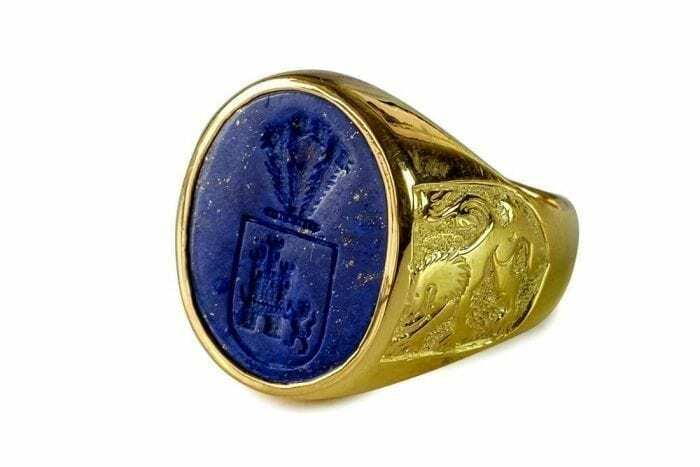 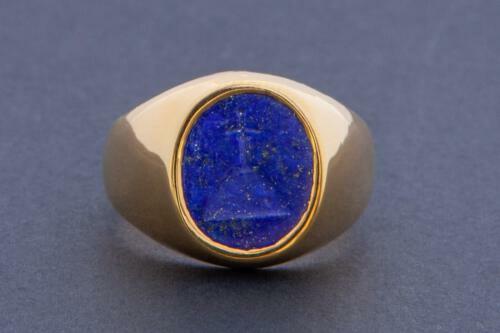 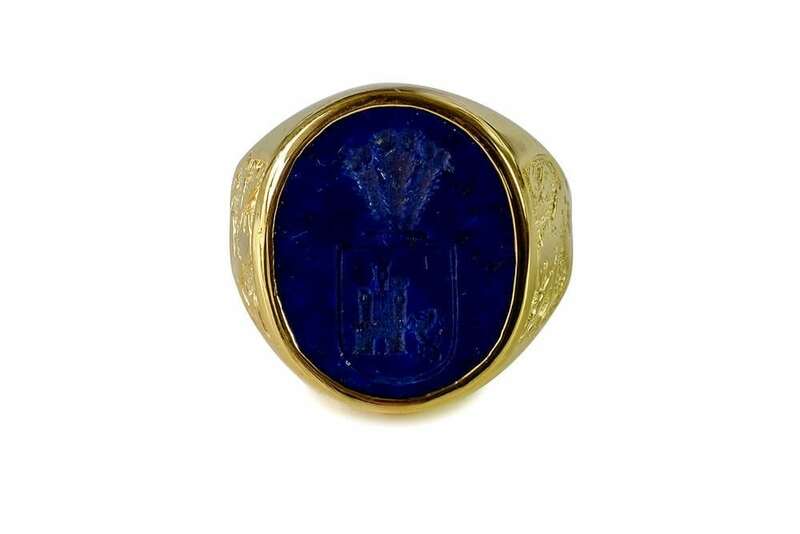 LAPIS CELTIC CREST RING GOLD PLATED (5 MICRONS OF 18K GOLD) STERLING SILVER ENGRAVED INTAGLIO FOR SEALING. 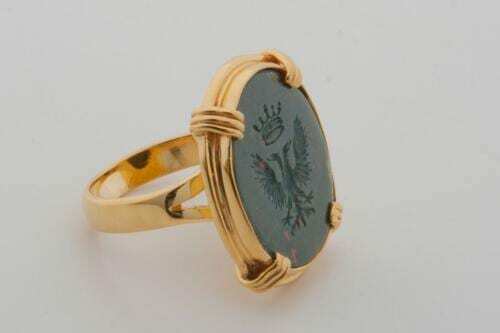 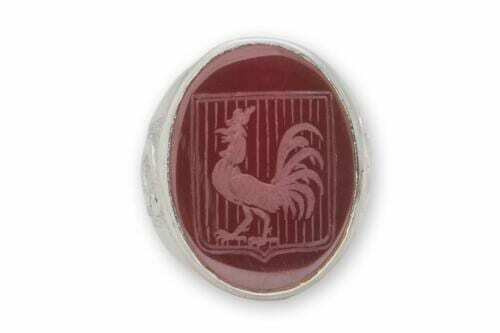 The ring carries an engraving of the lion rampant of Scotland on both shoulders. 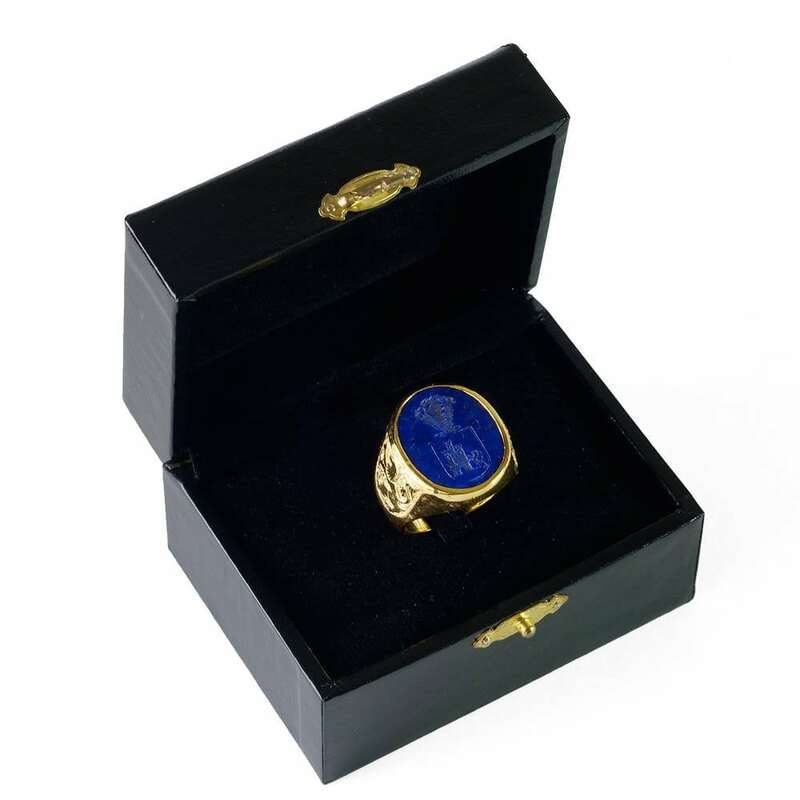 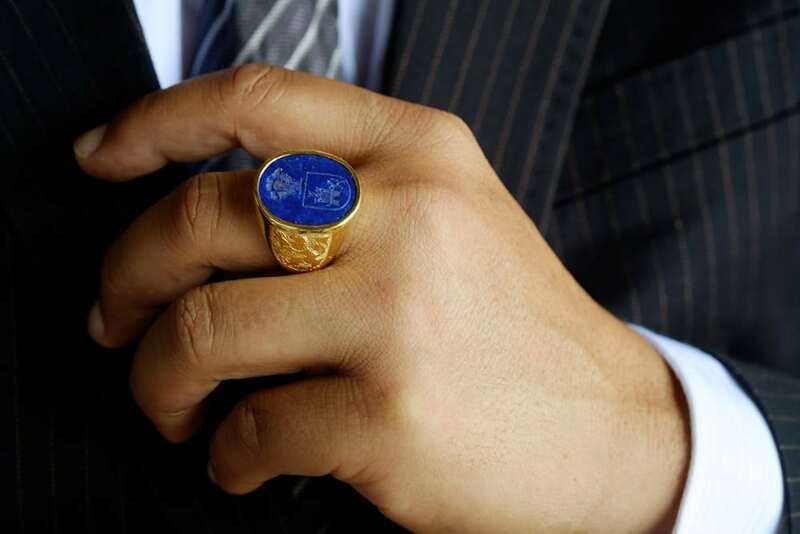 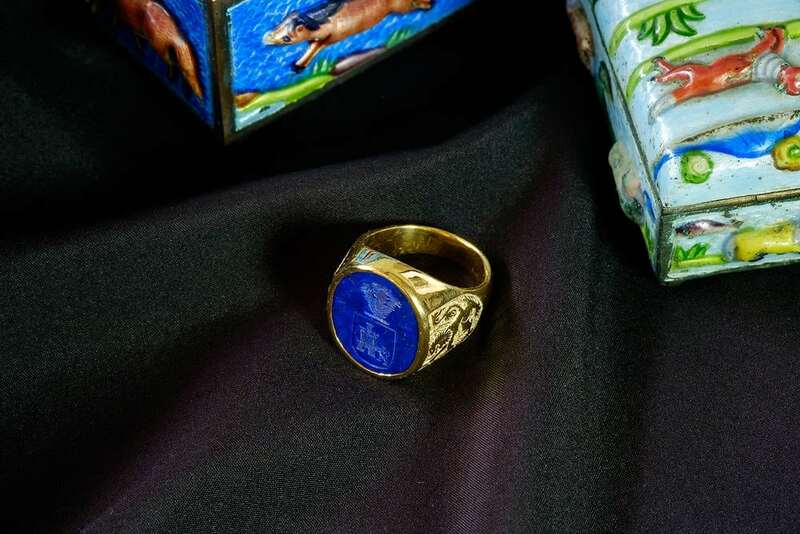 The lapis lazuli oval is 22 x 18 mm (7/8 x 11/16 inch) one of our medium sized rings.